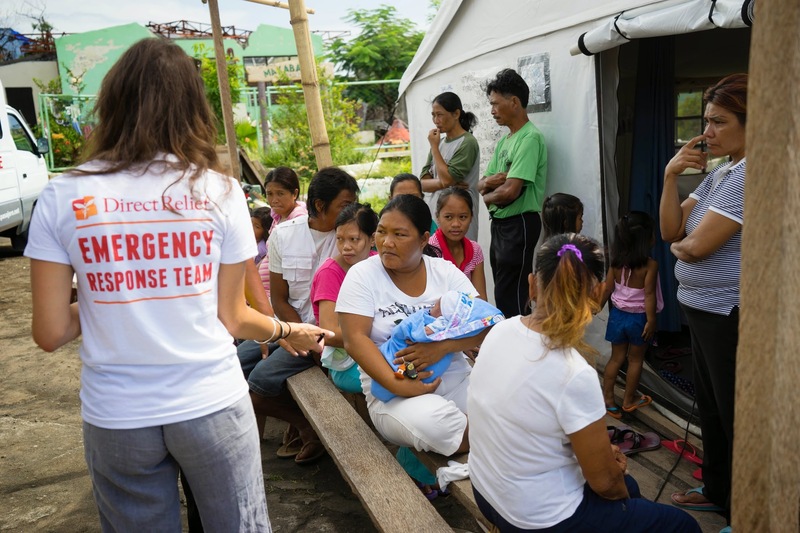 At the Bumi Sehat Medical Relief Camp in Dulag, Philippines, every postpartum bed is full, dozens of mothers and infants are in line to receive care, and several babies are delivered every day. Three months after Typhoon Haiyan (locally known as Yolanda) hit the island nation, thousands of people are still displaced and with many health facilities destroyed, medical needs remain critically high – particularly for new and expecting mothers and their babies. And with many crops destroyed by the typhoon, food is scarce. “If not for the Direct Relief delivery, today we would not have been able to provide the mothers and children with food at all,” wrote Robin Lim in an email the day the products arrived. Lim is an internationally-recognized midwife and founder of Indonesian-based nonprofit, Bumi Sehat – which provides services for new and expecting mothers and their children. Bumi Sehat is running the medical camp out of a former school in Dulag. The camp was first set up by the Philippine organization Mercy in Action, a group also focused on maternal and child health. 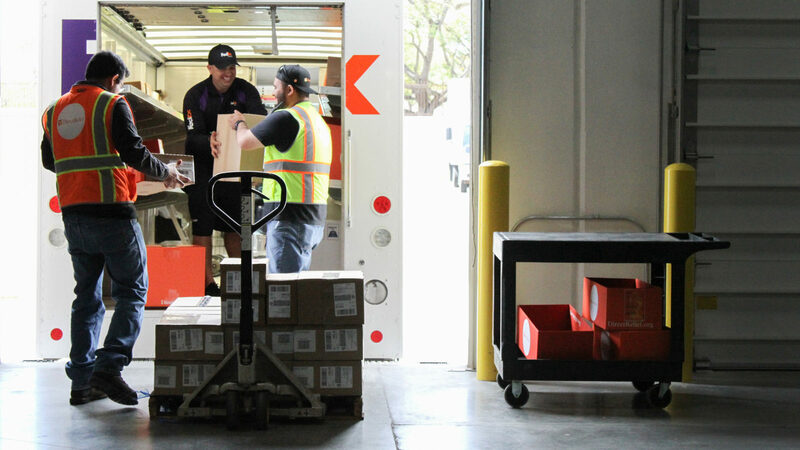 Direct Relief is supporting this crucial work providing prenatal, delivery, postpartum, and general health care services in the typhoon-ravaged Philippines by shipping hundreds of cases of nutritional supplements to help keep the mothers nourished and improve the chances of a normal birth and health baby. Additionally, basic medical supplies such as exam gloves, antibiotics, anti-fungal medicines, and pain relievers were delivered to the camp. “Our nurses are in heaven with the new medications…we needed everything you sent,” reported Lim. So far, more than 100 babies have been born in the Medical Relief Camp and they are seeing 40 to 50 general health patients per day at the camp- many injured on debris from the typhoon that is still covers most of the areas of the country affected by the storm. Moreover, some of the midwives conduct home visits to feed lactating moms in order to keep their milk flowing (though home for many right now is more like a shack). Lim says the needs show no sign of slowing down. Because many of the local birthing clinics and rural health units have been destroyed, the facilities that are operating are seeing an increase in patient numbers. Beyond that, Bumi Sehat is currently considered to be the one of the best places to handle childbirth emergencies in the area and all the high-risk cases are sent to the camp. Direct Relief is privileged to work with dedicated partners like Bumi Sehat and Mercy in Action, who are providing care to the most vulnerable people as the nation continues to recover. For a full summary of Direct Relief’s typhoon response and recovery activity in the Philippines, please click here.